Ahh, Hiram and Hermione Lodge. Can’t live with them, can’t believe they’ve…been running a drug operation through a bunch of nuns. But Mark Conseulos and Marisol Nichols who PLAY them are pretty damn amazing! Well, as a Riverdale fan who has also watched every single episode of Friends approximately 100 times, I just realized some brand new information — both Hiram and Hermione each had small roles on the show! Let’s start with Mark Consuelos! 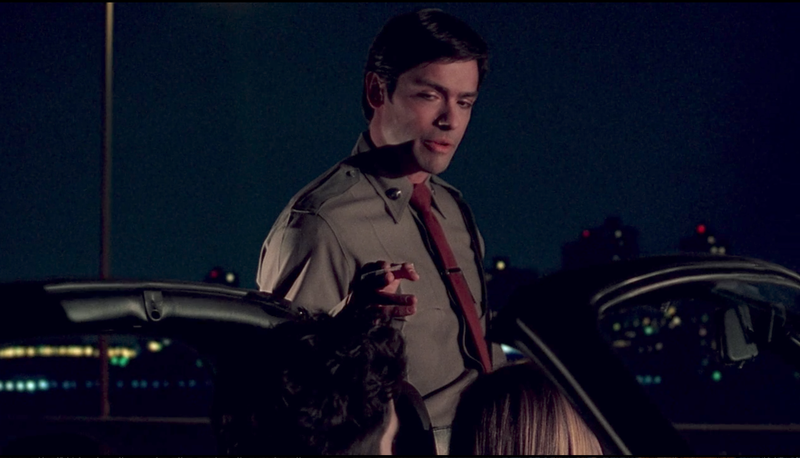 He played the handsome officer Rachel flirted with in Season 7’s “The One With Chandler’s Dad”. So, there you have it! The crossover I never knew I needed! That means that they all worked in scenes with Jennifer Aniston, which I think means that she just needs to appear in an episode of Riverdale now! Let’s make that happen?